It appears the Mets young ace is back on the market. 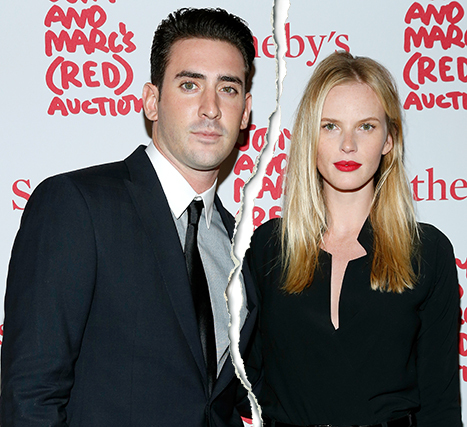 It has been widely reported today that Matt Harvey and super model girlfriend Anne V have broken up. To read any gossip news about the end of their relationship feel free to read here. As I have previously written, What Matt Harvey does off the field doesn’t bother me, as long as he continues to perform when he takes the mound. I really don’t care for this sort of news, it really does nothing for me. The only thing I hopes comes out of this, besides more tabloid headlines, is that Harvey will not be 100% committed to his rehab. I know he has stated in the past few weeks that his goal is to return to the mound by the end of the 2014 season. While that is not a reasonable expectation for Mets fans to have, it’s that kind of attitude and drive to succeeded that we have quickly grown to love. Let’s be realistic about this Anne V news, she might be the first girlfriend to help him grab the tabloids, but odds are she won’t be the last. Hopefully he follows more in David Wright and Derek Jeter’s footsteps and not AROD’s when it comes to his love life. luscious-dreamJanuary 26, 2008the game has now been killed more than ever, 1st hiudeot. yeah that was cool coz it was like BAPE very exclusive. now the friggin whole globe is selling out. you can get your hands on it like fried chicken mann the most wakest shops sell it. heard choice in bluewater are selling it as well. this is the biggest joke ive ever heard.